We ordered these as gifts for our groomsmen. The delivery came quite quickly and were individually packaged and then put into one large box. They are a good size and the engraving was done very well. We are very happy with them and can't wait to give them to the guys. It's a beautiful beer mug, we can't wait to give it to our best man for his gift. The only complaint I have is it's a little small, it will hold about 1 can of beer at a time. I'm sure our best man will like it, thanks!!!! I bought eight of these mugs as groomsmen gifts. They are perfect for a large group of guys. We inscribed their nicknames with the date of the wedding, and they all came out great! They did not take long to come in either, only four days. My fiance loves them! 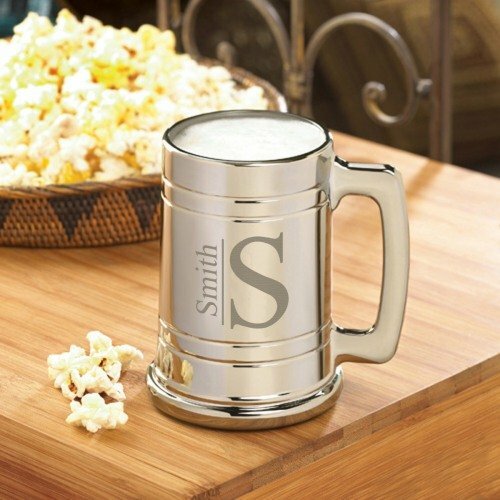 For the groomsman who has an eye for style and a taste for beer, this personalized gunmetal beer mug is an incredible gift. This shiny, gunmetal-gray mug is made of metal-coated glass. 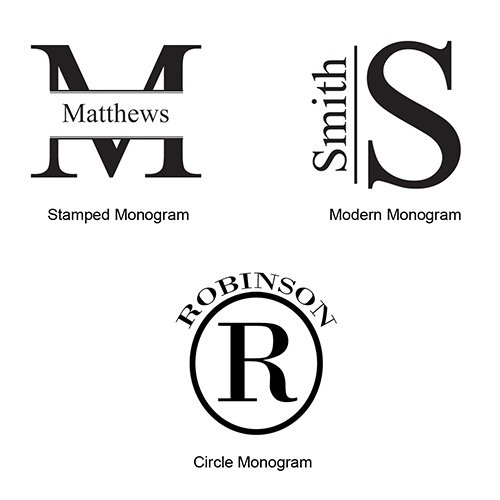 Personalized with up to two lines of text (maximum of 10 characters per line) and admire how perfectly you can see right through the engraving. Holds up to 16 ounces.